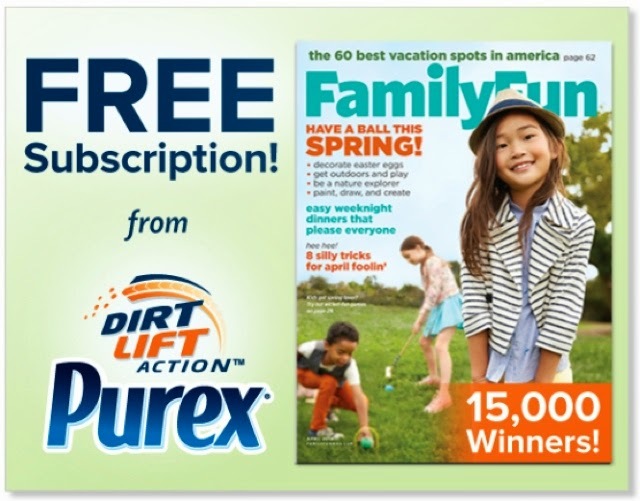 Enter to win Family Fun from Purex, Ends 5/30! I am a Purex Insider and receive perks as being a part of this influencer program. I am sharing this giveaway as a part of this program. Fifteen thousand (15,000) grand prize winners will receive a FREE subscription to Family Fun Magazine. Enter to win a subscription for your family to enjoy! Oh, what a great one! Thanks for this, I love the Family Fun magazine, and my last subscription just ran out. I especially love the Gymboree coupons that come in this magazine.